Click on photos with borders for a larger version. 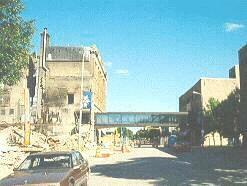 At 4:15 PM on April 19, a fire was reported in the Security Building, 101 North Third Street. 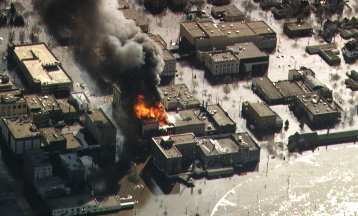 In the photo at the right, the fire rages in the Security Building and has spread to the next building. Fire trucks stalled in the flood water, and the hydrants were useless since the city's water system had failed. Later, planes and helicopters were used to fight the fire. 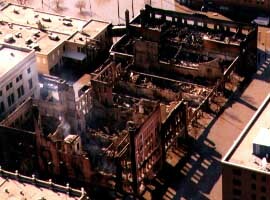 North Third Street after the fire. The Security Building is still smoldering. 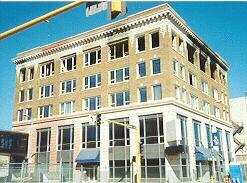 The building at the opposite end of the burned block is the Grand Forks Herald's offices. Eleven buildings were destroyed on North Third St. and North Fourth St. Only one, the former First National Bank building, still stands. 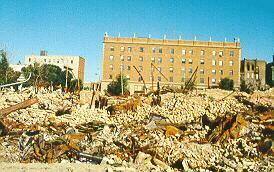 North Third Street block destroyed by fire, July, 1997. 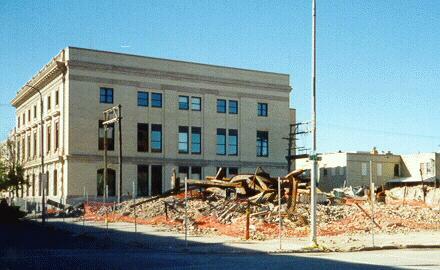 Site of the Security Building, Oct. 1997. 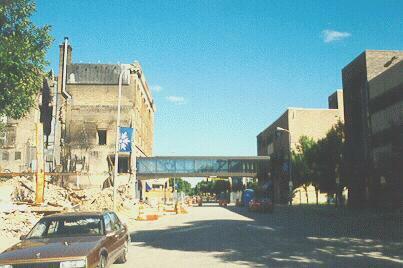 Fire-damaged First National Bank building, Oct., 1997. This is the only one of the fire-damaged buildings still standing. 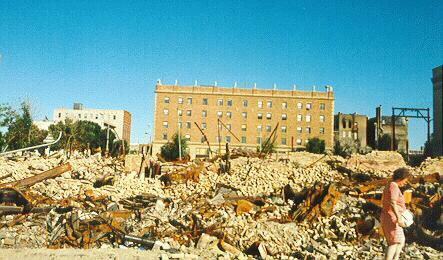 North Fourth Street after the fire, July, 1997.